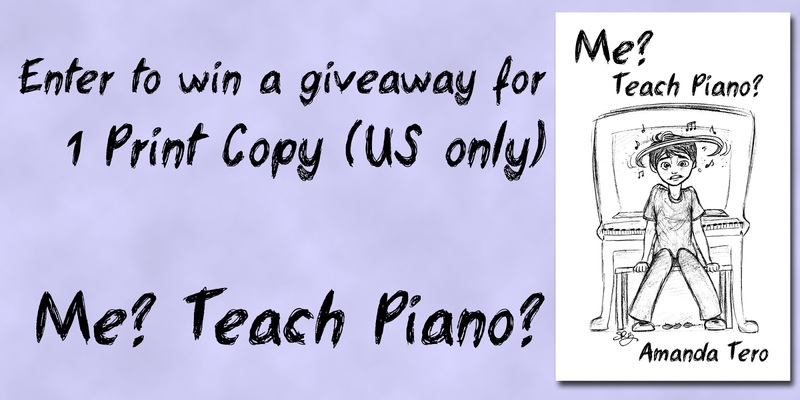 Have you thought about teaching piano? Or have you been asked, yet you're a little (or a lot) intimidated? "Me? Teach Piano?" by Amanda Tero, fully captures the fears of starting your piano studio and, in a down-to-earth style, giving you hope to conquer those fears. This booklet contains ideas, suggestions, and advice based on Amanda's experience. Consider it a layman's approach to teaching piano, from one teacher to another. "You play piano? Could you teach my daughter?" The parent looks too desperate to turn down, yet your thoughts run wild. "Me? Teach piano? I can barely play myself! Do they know what they're trying to get themselves into?!" "Me? Teach Piano?" is a simple guide to clear up some of your questions as you learn a down-to-earth approach to creating piano policies, interacting with students, and choosing the correct curriculum. Though I'm not a piano teacher, I was honored to be a beta-reader for Me? Teach Piano?! Amanda has a relaxed style in writing that made you feel like she was sitting there talking with you. 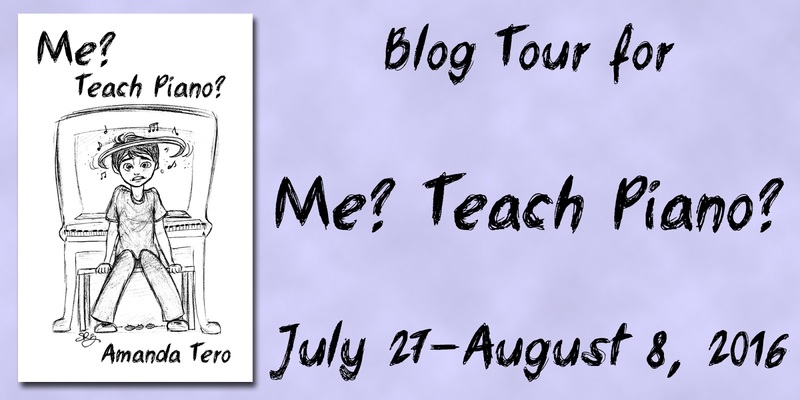 She addressed many situations an aspiring teacher needs to think through and wrote in a manner that was easy to understand, so you don't need a Masters in musical jargon (signs with relief ;)). If you're looking for a simple, practical guide for jumping into teaching piano, I'd highly recommend Me? Teach Piano?! 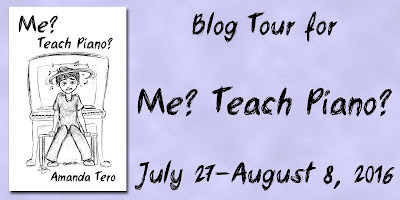 Click the link below to enter a giveaway of one PRINT copy of Me? Teach Piano? Amanda Tero is a Christian music teacher, currently residing in Mississippi. She has played piano since the age of seven, studying classical performance, theory, and arranging from various teachers. 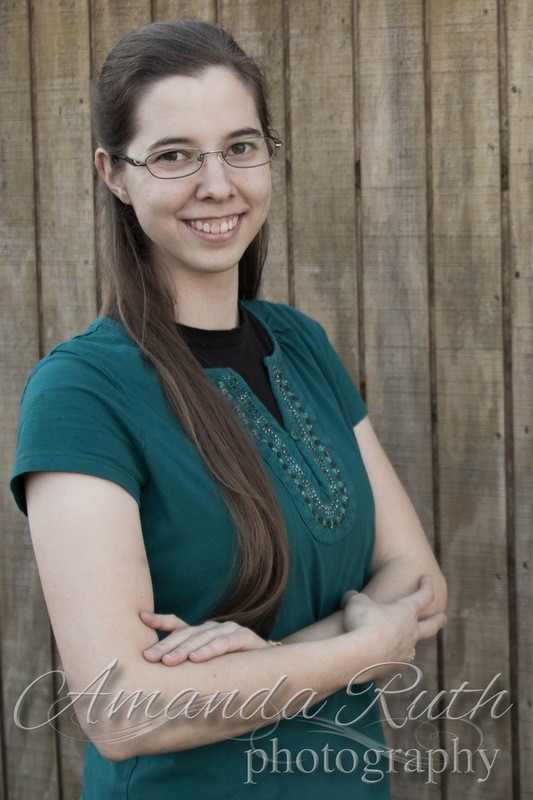 She began teaching private piano and violin lessons in 2007, equipping church musicians with a balance of classical and hymn education.